The middle of the Tribulation Period is marked by what is known as the “Great Tribulation Period” or the “Great Tribulation”. This is the time that the anti-christ will tell those on the earth to make an image to the beast in the Holy place within the Jewish Temple to be worshiped by all, in which Jesus referred to the prophet Daniel who called it the “abomination of desolation”. The bible tells us in Revelation 13:5 that the anti-christ will then have 42 months to continue. Those who will not worship the image of the beast shall be killed. This image could be many things with the technology that we have today. However, we must remember that the beast also has many powers. He told those who are deceived to create an image of him, so it could possibly be a robot. The beast then gives the “image” breath and causes it to speak, and to have many killed for not worshiping it. Whatever you do, do not worship the beast! 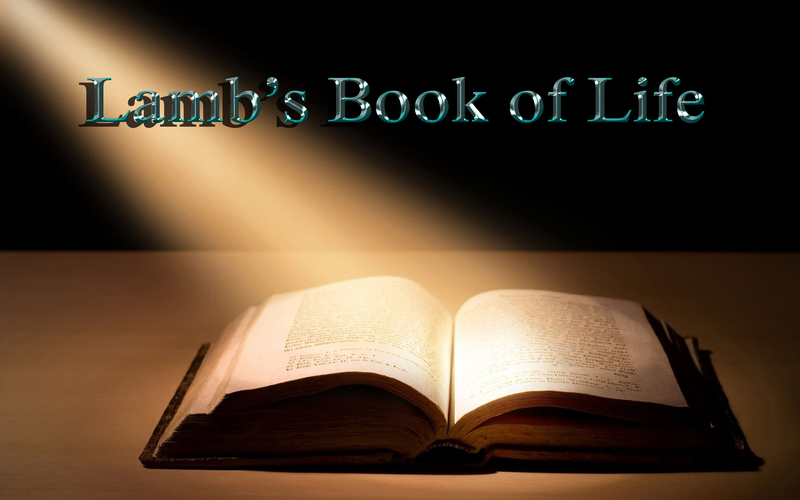 The bible goes on to tell us that those whose names are not written in the “Lamb’s Book of Life”, will worship the beast. He is out to make war against the saints of God. The only way to not worship the beast is to become a follower of Jesus Christ! For scripture tells us that “all” who dwell on the earth and are “not” written in the “Lamb’s Book of Life”, “will” worship the beast! At this time the anti-christ will cause “all” who worship him to receive a “Mark” on their right hand or forehead. This is also referred to as “The Mark of the Beast”! Whatever happens, whatever you do or don’t do, do not take the mark! Once you have taken the mark, then you will be damned forever! Don’t buy into the lies, the deception. There will come a day when you will not be able to buy, sell, or trade without the mark. You must be brave and courageous. You must be saved! 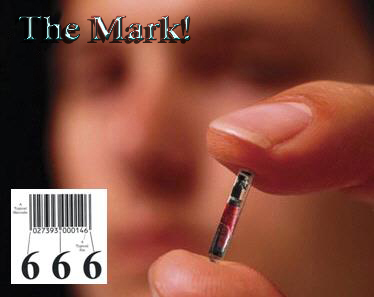 Many people have speculated on just what the mark of the beast will be. Some think that it will be a tattoo, while others believe that it will be a microchip. With all of the technology today, it’s easy to see this actually taking place. Tattoos have been around for thousands of years, and with modern technology it would be very simple to mark millions of people very quickly. On the other hand, microchips have been used for decades now. Many products that we purchase have had them in their packaging, and animals have been implanted with them containing their identification and health records. Over the past few years even humans have been implanted. The trend is soon coming for humans to be routinely implanted with these chips for health records, finances, and identification. The technology exists, it’s here, and it’s being used. Those who take the mark of the beast and worship the beast, will reap the wrath of God. He shall be tormented with fire and brimstone. 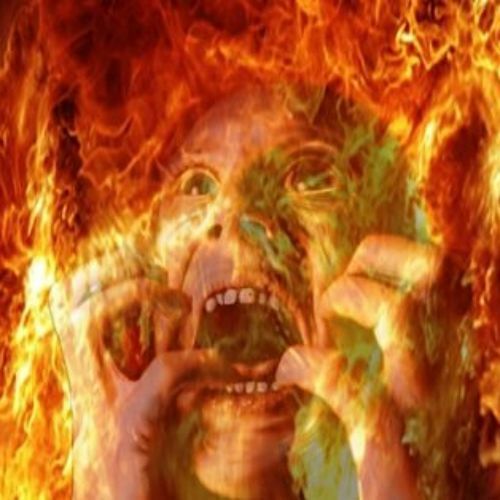 You will be condemning yourself to hell! There is no turning back at this point, no second thoughts or change of heart. You will have sealed your fate! There is a way to be saved from the beast and his mark. There is only one way, through the blood of Jesus Christ! A person must be saved, be born again. He must accept Jesus Christ as his Lord and Savior! Once saved you are sealed by the Holy Spirit of God Almighty! You are His and His alone. You can be killed physically, but no one can harm you spiritually. You will live forever with God and have eternal life. You will be changed forever, in the twinkling of an eye! Accept Jesus now and have eternal life! Their are so many dying for their faith now, would you be ready if they ask you? I’m not so sure we won’t have to go through so much more before that Day. Bless you all & make Jesus the center of your life. The picture of the girl with a barcode on her forehead is wonderful. Where did you get it? I posted that so long ago I couldn’t tell you. 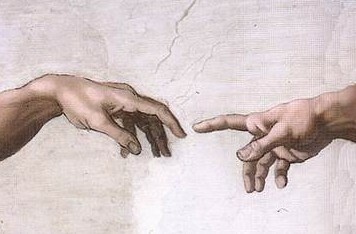 The “mark” is the way the image is applied…. Thanks for your comment Truth be told! Scripture tells us that those who receive “a mark” in their right hand or forehead. I don’t see where it says “scarification”. No matter, I agree, it will seal your fate for eternity! Gordon the word Mark is how the Image is applied…. Strongs – 5480 charagma – a scratch or etching – scarification really has alot that falls under it cutting burning etc… but just like God sealing the 144,000 wont be chips or codes either…. chips can be removed or blocked and the whole reason isnt to track but to seal one’s fate in the lake of fire… they want to keep just enough people to run things for them (slaves) and kill the rest. Thanks for you comment Truth be told! No one knows if it will be an implant or an actual mark. If it is an implant, such as implants found on some people already, then perhaps these implants change the hosts DNA, thus sealing that person’s fate for eternity. The point is no one knows! Just wondering why my comments aren’t showing up. Thanks for your question worthyisthelamb737! When you post a comment they do not automatically show up. They must be approved by me before they are posted, this is true for all of the comments and spam that I receive. Please be patient with me, as I am only one man, no staff, just me. As a lifetime believer but tried it my way for a while, before living for Him I asked my husband out of the blue if the anti-Christ could possibly some type of computer? I didn’t know anything about these robots and AI at the time but it’s a ? that I never forgot. The more I hear, the more I wonder if it was just a random thought? It came from nowhere. I’m not saying it is, not by any means, but could it? I’d be interested in other people’s thought. Please note, this is a thought, nothing more or less. God bless you all. Thanks for your questions worthyisthelamb737! It is interesting to think that just maybe this beast or Antichrist could actually be artificial intelligence, but I don’t believe so according to scripture. The old testament prophet Daniel spoke of this beast. If the Antichrist were not human, then the scripture would not have referred to him as “he”. Daniel also tells us that the body of the beast/horn/Antichrist will be slain, destroyed, and given to the burning flame. Again, the book of Revelation confirms what Daniel is saying, that the beast will be cast into the lake of fire along with the false prophet. It is an interesting thought about artificial intelligence perhaps being the beast, but I don’t believe so. However, I do believe that the beast will use artificial intelligence to his advantage, and perhaps even have a robot or hologram which people could worship around the clock! I have also heard of a super computer in Europe named “The Beast”, however I do not believe that this is the Antichrist. No, I believe the Antichrist will be a man. Thanks because I believe it will be a man too but I also think AI is going to be a big part of it. Now a certain denomination says that the U.S, is the False Prophet and the RCC/Papacy is the Anti-Christ. I always thought it would be a man. Many people have actually thought a current leader is it. I was also told the Whore of Babylon is NYC which, I could believe. I use to think Revelation was scary and the stuff of nightmares but it’s really not and 666 is not that dreaded number everyone fears. I don’t understand it but it doesn’t scare me either. Oh, and I apologize for what I said about the comments. Usually I get notified to wait for them to be approved but I didn’t so I thought I wasn’t doing something right. Do you uphold the rapture theory? Just curious. BTW, I’m Brenda so you can refer to me by that. God bless you. Take your time. I am certain that the Antichrist will use technology to accomplish his purpose. I believe that the Papacy will probably be the false prophet, but I can not say that for sure. I also believe that the Antichrist is alive now on earth, that’s how close I believe we are to the Tribulation period. There will be some sort of Mark that the Beast will implement, it could be a number of things and there is much speculation about this. The taking of the Mark is allegiance to the Antichrist. Once you take the Mark of your own will, then you will have sealed your fate as a follower of Satan! I believe that this Mark may actually change ones DNA to a hybrid being, such as in the days of Noah, corrupted DNA. I have written much about the rapture and my own beliefs and why I believe it. I do believe in the Pre-Tribulation rapture of the church. You can read about what I have written under the header “PREPARE”, then scroll down to “The Rapture”. From my understanding of Scripture, the entire issue is one of worship. When Satan came to Jesus after his baptism, he presented our Lord with the three temptations we all must face. The only thing Satan required was that Jesus fall down and worship him and the rewards would have been His. God requires that we worship him in spirit and in truth. Again we have worship being the central issue. The mark is not necessarily a physical chip or the like. It is who we worship, that’s why the Bible says the forehead and by extension, what we do with our hands in the case of the unbelieving. It is interesting to notice that the redeemed only have a mark in their forehead, the activity of the hand being conspicuously absent. When one is dead to self, the Lord takes charge and our activities are all done with one thing in mind, “Do all to the glory of God” Hence the activities of the hand are always doing the work Jesus bids us to perform. On a sidebar, for those who care to look, Martin Luther identified the beast power way back in the 1500’s. Yes I agree that it all revolves around who we worship, it’s either God Almighty or Satan. However, scripture does state that those who worship the beast will receive a “mark” in their right hand or forehead. Whether or not this is something physical we don’t really know, but a person cannot buy, sell, or trade without it.